Driving through a concrete wasteland covered in graffiti, you cannot imagine that anything old can be found here. You pull up to an almost unmarked gate manned by an armed guard and take a moment to gather your thoughts. You talk with the guard and he agrees to let you in the back door as long as you purchase tickets from the museum at the back of the site. You pass through the rusted gate and make your way up the nopal and cactus studded arid slope to the 80’s looking construction that functions as one of the two museums. You pay at the desk and peruse the interesting artefacts that have been lifted from the main site, but eager to get to the main course, you pick at this starter and head on out. Walking over a small bluff, you see the whole site ahead of you. On top of a pyramid, guardians, stand watch. They are not armed with guns like their modern counterparts, but have stayed at their post for hundreds of years. 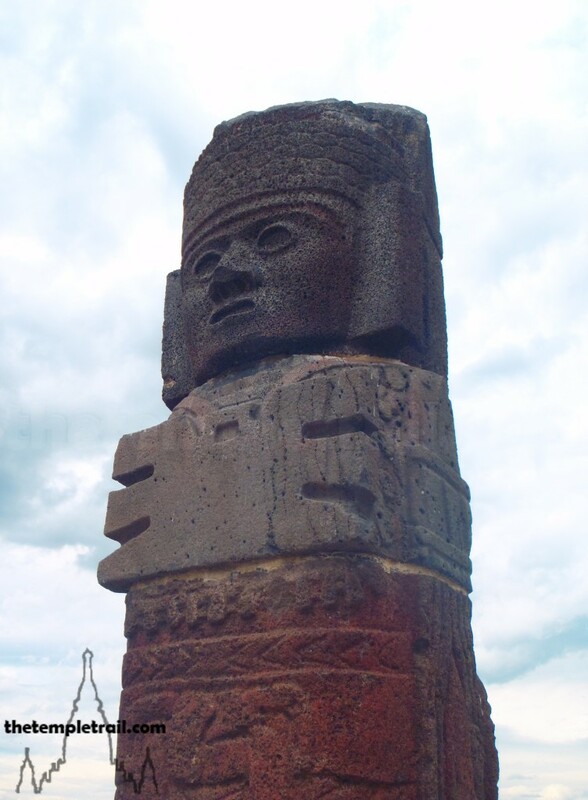 These are the famous Atlantes (telamons – statue pillars) of Tula. 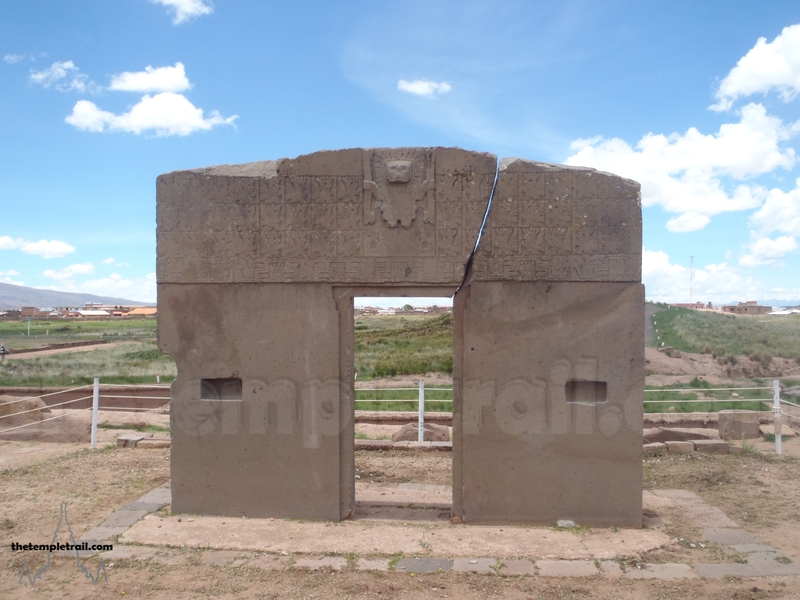 Tula is a site that is shrouded in mystery. 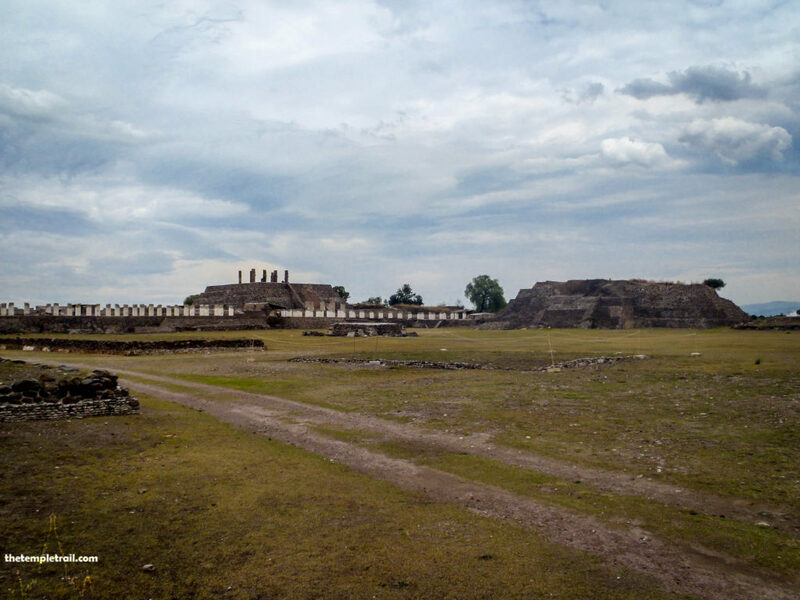 It was once a major Toltec city called Tollan (meaning among the reeds). This was likely a metaphor for how densely populated it was, the reeds being the 30,000 people who called it home. 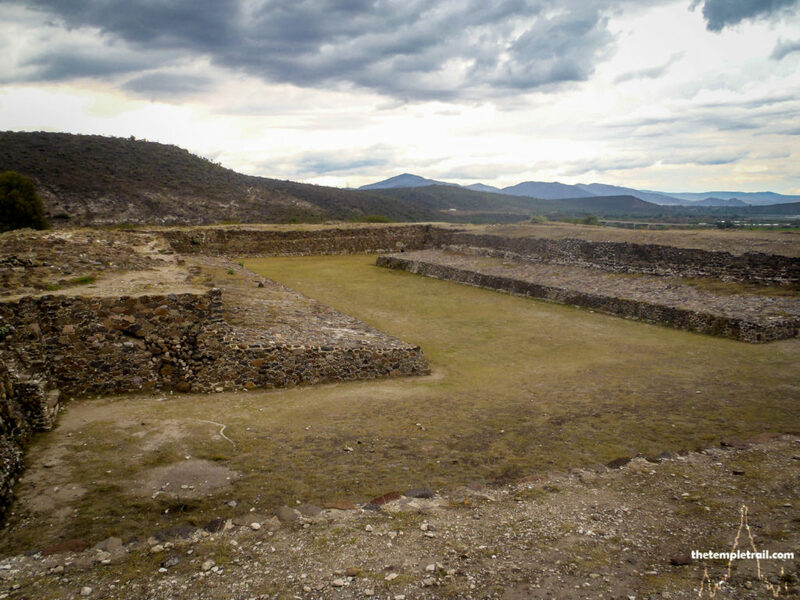 Its life span was from the early 9th century AD to the mid-12th century and it may have taken over from Teotihuacan as the main trade and administrative centre of the Toltecs. 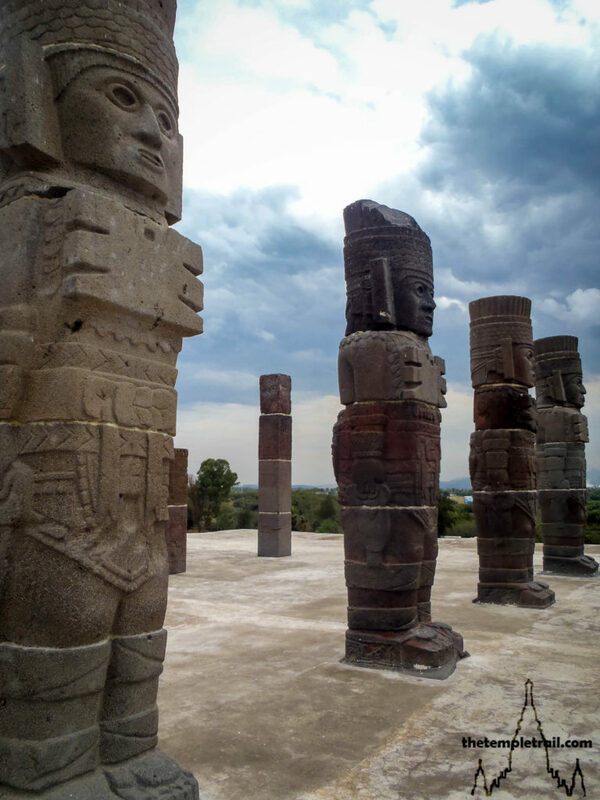 Tula, as with Teotihuacan, was seen as a mystical and magical place by the Aztecs, who believed that the god Quetzalcoatl came from here and that he was the reincarnation of the mythical fair-skinned king by the same name; the ruler of Tula in its earliest days. Apart from influencing the Aztecs in the future, it had a direct and contemporary influence on Chichen Itza in the Yucatan. This gives credence to the mythology that the exiled king Quetzalcoatl, founded other civilizations around Central America. Coming from the rear of the site, brings you straight into the main precinct for the temples. The first thing you come to is one of the two ball-courts. The ancient ball game was more than just a game; it was a ceremonial matter of life and death and symbolized the mythology of Mesoamerica deeply. After wandering in the I-shaped court, you surface and make your way up the bigger of the two pyramids. Templo Mayor, the temple of the sun, is in ruins, but it once served as the main temple of the city. 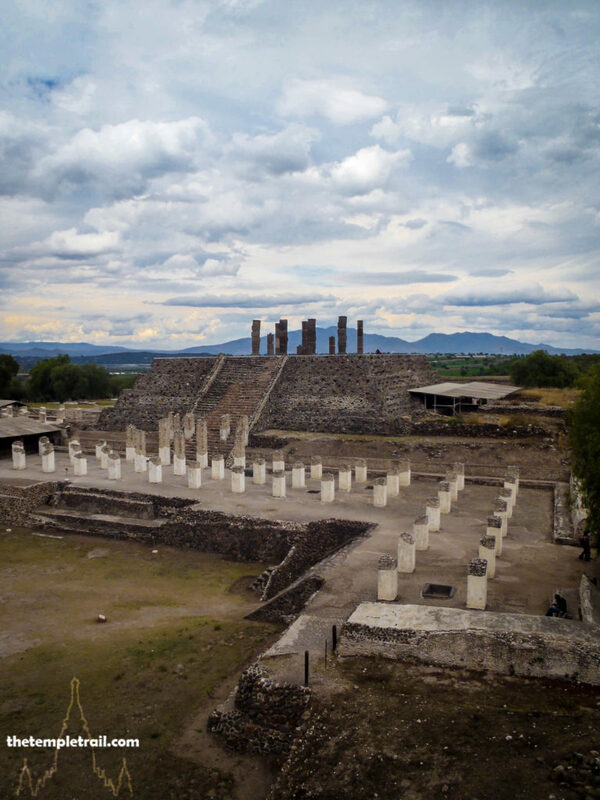 From the top, where ceremonies would have taken place, you look down on the Palacio Quemado (burnt palace) and, more importantly, the Temple of the Morning Star. The morning star, known to us as the planet Venus, held an enormous importance to the people of Mesoamerica probably due to its disappearance at night and reappearance in the morning (it is called the evening and morning star). The Toltecs associated it with Quetzalcoatl. As the evening star it represented his time on earth as a man (the ruler Topiltzin Ce Acatl Quetzalcoatl). The period when it disappears (its orbit makes it invisible) is his death and four days in the underworld before reappearing as a god (the morning star). The Temple of the Morning Star is, therefore, a very important temple. 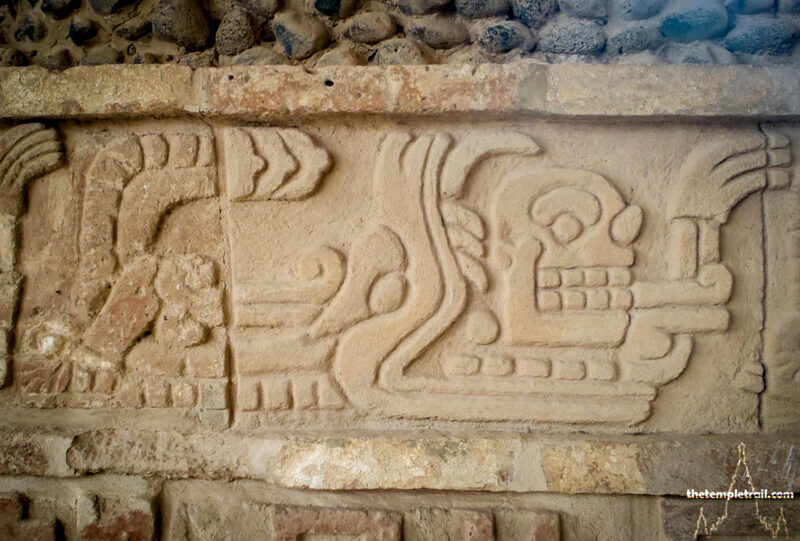 It is also called the House of Tlahuizcalpantecuhtli (Lord of the Dawn): Quetzalcoatl in his malevolent and dangerous guise as the morning star. 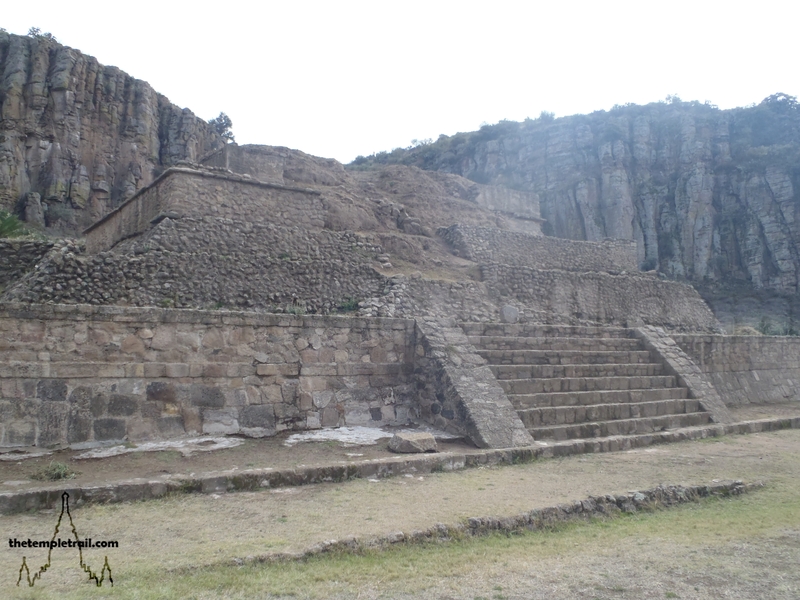 Climbing the steps of the 30 foot tall pyramid that Toltec priests and royalty would have climbed a thousand years ago, four faces begin to come into view on the top of the pyramid. These faces slowly become huge standing figures: Atlantes. The Atlantes are dressed in full warrior garb and are armed with shields, breastplates, spear-throwers and spears. At 15 feet tall, they are imposing guardians. They represent either Mixcoatl, the father of Quetzalcoatl or Tlahuizcalpantecuhtli. These Atlantes once supported the roof of the temple that sat atop the pyramid. Retracing your steps and turning right at the bottom of the pyramid, you stop to appreciate the coloured friezes and headless chacmools (reclining offerings statues) in front of the Palacio Quemado, before making your way behind the pyramid. Here lie the remains of the friezes of eagles, jaguars, coyotes and birdmen that used to surround the whole pyramid. These friezes told stories of Mixcoatl and Tlahuizcalpantecuhtli. Following these friezes takes you to the almost utterly destroyed Palace of Quetzalcoatl. Opposite the friezes is one of the most impressive and gruesome site features: the Coatepantli or Wall of Snakes. This is a set of reliefs of rattle snakes eating skeletons. 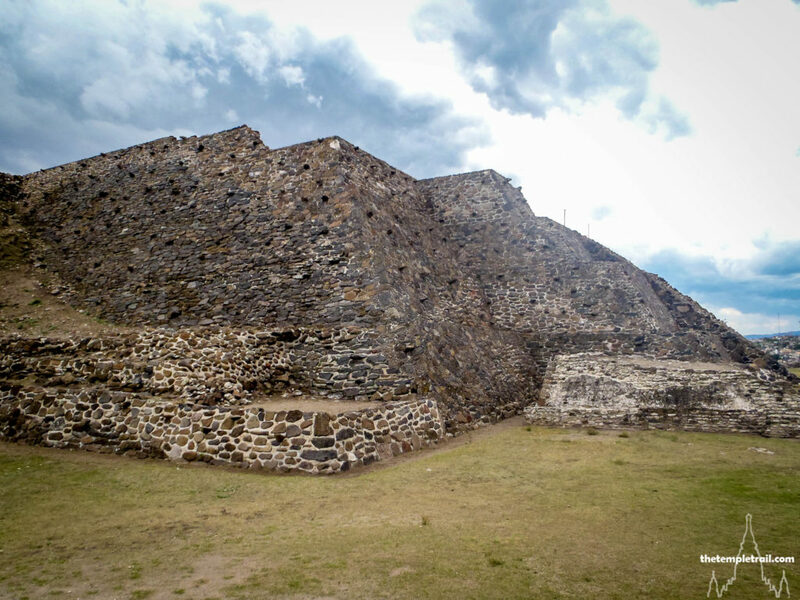 The skeletons are representative of human sacrifice and the battlements of the wall are conch shaped and symbolize Tlahuizcalpantecuhtli. The wall marks the sacred enclosure of the temple buildings. Heading out and away from the pyramid, you come to the second, smaller ball court. The Mesoamerican Ballgame was closely tied to religious ceremony and the presence of two of them in the precinct is no coincidence. After walking around in the ball court imagining what it would have been like playing or watching a game that could potentially decide life or death, you make your way down the dusty trail towards the front entrance and past cacti and souvenir stands that line the way to the front that you should have started. Looking back over your shoulder, you get a sense of why the Aztecs believed that the Toltecs were a master-race. They were a huge part of shaping Pre-Colombian Mexico and still have an influence today with festivals such as the Day of the Dead. Ultimately their civilization may have faded, but their legend lives on.